Let the Christmas music begin its officially the start of the season! I love everything that December brings- family, parties, treats, dinners, presents, and reflecting on how grateful i am for the birth of my Savior. So lets get to the treats, shall we? 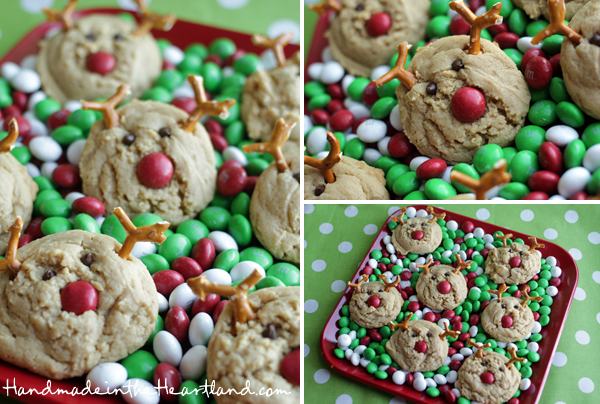 Ok can we just talk about how cute these reindeer cookies are, so stinkin’ cute?! They remind me a lot of the spider cookies i made for halloween, and actually i used the exact same peanut butter cookie recipe because its was so good! So when your doing your holiday baking be sure to add these to your list. Preheat the oven to 350. Stir together dry ingredients. In a mixer cream butter, shortening, and peanut butter until smooth. Add the sugars and keep mixing until well blended. Add eggs, one at a time, and then vanilla. Add flour in two parts and mix until combined. Shape dough into balls and place an inch apart on a silpat lined cookie sheet. Bake for 8-10 minutes. While they are baking or before cut the pretzels into “antlers”, i just took a pairing knife and cut the rounded outer parts of the pretzel off. 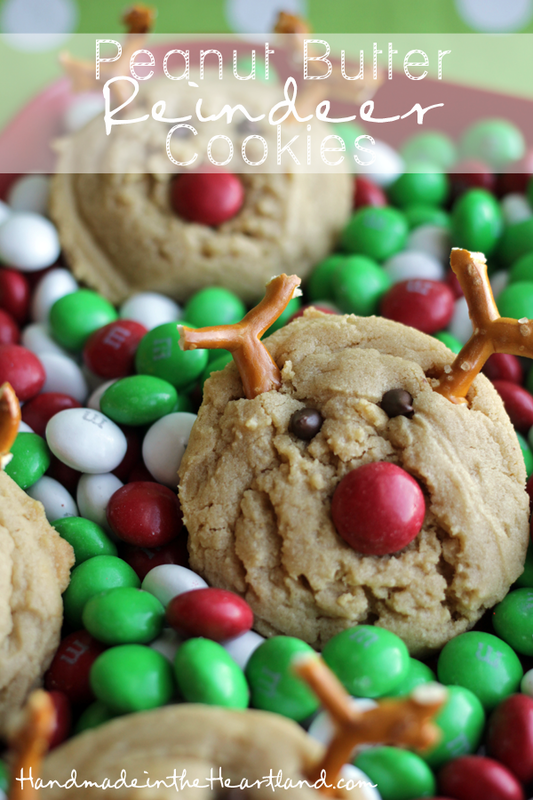 When you take the cookies out of the oven immediately place the pretzels in the top for the antlers, an m&m for the nose, and mini chocolate chips for the eyes. Let the cool and enjoy!